Life as a golf course architect is a wild adventure, and opportunity that comes to fruition in numerous ways. For some a career is born of a dream, the type of a young athlete aspiring to play professionally, blossoming from an undying passion for the game and the field upon which it is played. Born in Minot, North Dakota, Nick’s love affair with golf started at the age of 6 not with a cut down set of clubs or a golf course, but in a small field with a golf ball, a hockey stick, and… a broken window. Soon armed with a hand me down half set of clubs, hickory print vinyl clad steel shafted Spaulding Brothers irons and persimmon woods, Nick began beating plastic balls around the yard, with the greatest care to avoid taking a divot from the lawn his father took great pride in. A simple 9 holes with his father, an average blue-collar golfer, a curiosity became a lifelong obsession with the game of golf. 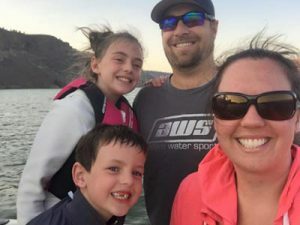 At the Age of 10, his family headed west to a suburb south of Seattle, Washington where a new job with Boeing, the prototype development and production of what would become the F-22 Raptor, provided new opportunity, life in the big city, and access to year-round golf on a vast selections of golf courses. Their family home sat next to the neighborhood park. The desire to play golf, festering, unable to get to a golf course, led to his first exploration of golf course design. He sought out a course through the park and neighborhood kids began mixing golf into their usual baseball, basketball, football games playing a nine-hole layout that started in his front yard, finishing to the green across the creek in the backyard. Nick worked throughout high school and college at a local course picking range balls, washing carts, eventually in the pro shop, and on the maintenance crew, taking full advantage of free golf, honing his game, a scratch player by age 17. The only job he’s ever held have been in golf. 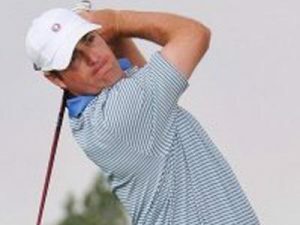 Nick earned a golf scholarship to a small college where he studied Civil Engineering and played for two seasons. He realized however, his desire lie not as a club professional or in chasing a playing career, but in the courses he had been afforded to experience. Nick graduated in 2003 from Washington State University with a degree in Landscape Architecture where he was awarded an American Society of Landscape Architects (ASLA) national merit award. 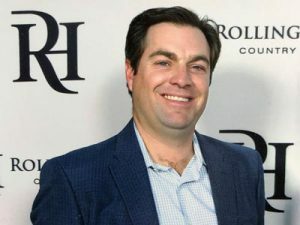 Nick’s formal career in golf course design began as an apprentice, while still in college, with John Harbottle III who Nick had been introduced to early in high school by a family friend. 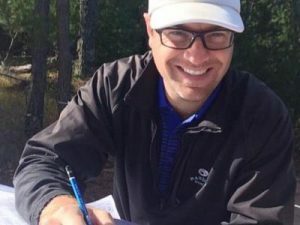 He began drafting plans and upon graduating began working on the construction crews of various projects from renovations to original works where he gained critical experience in golf construction and design. 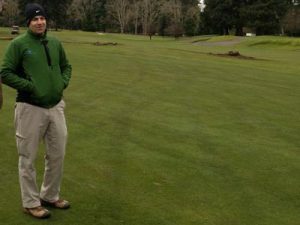 His time with Mr. Harbottle came full circle to work on the design and construction of Palouse Ridge, a new course at his alma mater Washington State University. Nearing completion of Chambers Bay where Nick harnessed an opportunity to work for the contractor, Heritage Links, as a Construction Superintendent, he caught wind of a Scottish born architect of Bandon Dunes fame, looking to hire an associate and start an office in Bend, OR and joined DMK Golf Design in June 2006. Since joining David Nick has been instrumental in numerous projects that have taken him on adventures across the globe. Most notably Nick has played a significant role in Huntsman Springs, Renovation of Tacoma Country & Golf Club, the routing of Mammoth Dunes, and most recently at Rolling Hills Country Club where he lived on site in a 35’ motorhome, managing the entire project from design through construction, a true testament to his commitment to our clients and our projects. A true “golf nerd” Nick is a student of the game, a golf course connoisseur, old and new, never passing up a golf opportunity. He lives in Bend, OR with his wife Diana and children Penelope and Winston, who much credit is due in their support of our craft, a story with much yet to be written…..